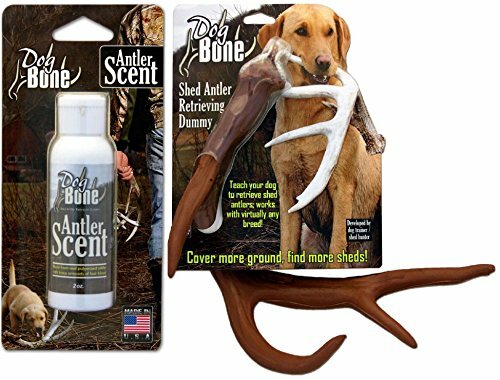 The Antler Scent is made to be used with the DogBone training dummies as well as real shed antlers. There is no injection of the scent involved with the process, the user just applies it to the dummy with each use. This is a great scent to use when training your shed hunting dogs to find antler by nose. This 100% shed antler scent is made to be used with DogBone's dummy antler training system, but can also be used in other applications such as real antlers or homemade antler training systems. Made, Bottled, and Shipped from Wisconsin- Home of Huge bucks! If you have any questions about this product by Moore Outdoors, contact us by completing and submitting the form below. If you are looking for a specif part number, please include it with your message.